My good friend and fellow BBQ enthusiast O.B. Goldstein–the O.B. 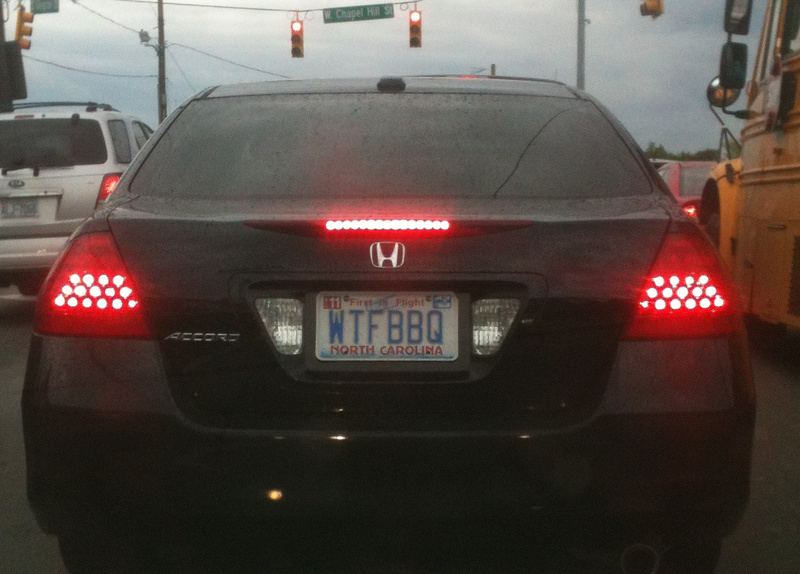 stands for Outside Brown, in case you were wondering–sent me the below picture of a license plate that reads, “WTFBBQ”. Needless to say, O.B. was puzzled but intrigued by the phrase. What could it mean? What does the license plate actually mean? If you guessed this definition from UrbanDictionary.com, give yourself a pat on the back and then go to your room because you’re grounded! It’s sad to see the letters BBQ misappropriated for a non-barbecue purpose of any sort, let alone an off color one. Hopefully karma will catch up with the driver of this car–perhaps in the form of a little trichinosis.